Texturising is a very important process in filament yarns to give texture similar to spun natural fibres. 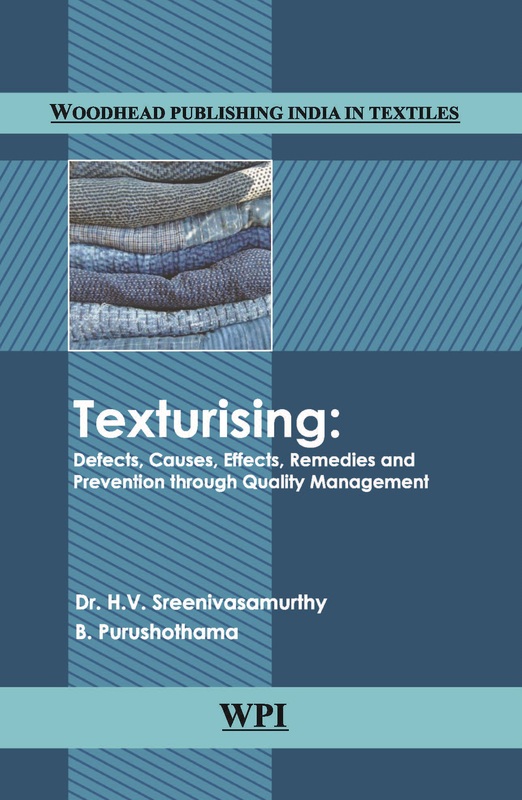 This book covers different methods of texturising, normal defects in texturised yarns, their causes, effects, remedies and Prevention through implementation of Quality Management systems. The book is a blend of an academician and an industry personnel with their vast knowledge of the subject in the field, experience of association with the industry. Dr. H. V. S Murthy former Director of Textile Education of Maharashtra Technical Education Board had conducted various research work on Texturising defects in different plants at Silvassa and had compiled them. Mr. B. Purushothama, a practical shop floor technical person and an expert in Quality management System joined with Mr. Murthy in making a useful book for students and for beginners in man made fibre industry. The authors have covered all the aspects starting from the origin of the texturising technology of yarn modification, type of machinery, process, process control, testing and quality control, and the Management Information Systems. The authors have covered the most important aspect the problems and remedies in the texturising industry. The book is a good guide for the students studying Man Made Fibres/Textiles in which Texturising is an important subject.